Our model for managing and supporting fast-track projects has helped global power providers and industrial customers complete mission-critical facilities in 12 weeks or less. Every construction project depends on planning and the availability of equipment and experienced workers. By integrating engineering, procurement and construction (EPC), we have streamlined the most important services. Today, projects are managed and executed by our in-house professionals. High-voltage clients experience multiple benefits from our practical procurement, assembly and installation services. This is how it works. Spec sheets arrive from the client or our electrical engineers. High-voltage equipment is sourced from our inventory or global supply network. Transformers and items that require assembly are sent to our state-of-the-art facility. Coil winding, transformer vacuum filling and remanufacturing are completed on-site. Packages are shipped to the field for installation. Crews install the high-voltage equipment and complete testing. The commissioned facility provides a reliable source of power and profits. Transformer construction and assembly is crucial for the development and completion of fast-track substations and generating sites that will distribute power to regional utility companies. With our procurement services, we can supply new, used or remanufactured transformers with minimal notice. Our proprietary database includes detailed information on the worldwide availability of transformers and other equipment. 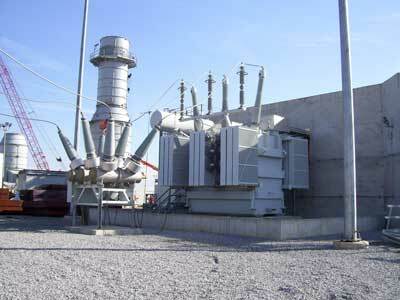 As an example, we can source a 15 MVA transformer, several 362 kV circuit breakers and whatever specialized high-voltage equipment you need to complete switchyard or substation construction. We assemble the equipment at our Houston facilities when possible. Depending on shipment configurations, equipment assembly can be completed at our facilities or in the field. To remain on or ahead of schedule, we base decisions on customer input, conditions in the field, transportation options and other job-specific factors. Once the equipment arrives, our field crews will proceed with installation and commissioning. Occasionally, a heavy fault or unforeseen flaw can damage the equipment that is required to keep the power flowing. When this happens, there are three options. First, we can start at the beginning by procuring and installing a compatible replacement. Second, we can perform repairs that are needed to restore the equipment. Third, when repairs are expected to delay operation, we can install a rental that can be used while the repairs are completed. The flexibility of our construction and installation services gives high-voltage clients the freedom to select options that offer fast-track timelines, cost savings or both. All of our fast-track services can be customized for your unique requirements. That is how we build long-term relationships with clients in all parts of the world. To request a quote for high-voltage equipment or additional assembly and installation services, call 713-733-3999. We can work with you to develop a plan that addresses cost and time concerns.